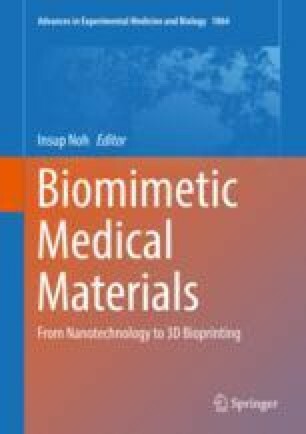 The field of bioelectronics has paved the way for the development of biochips, biomedical devices, biosensors and biocomputation devices. Various biosensors and biomedical devices have been developed to commercialize laboratory products and transform them into industry products in the clinical, pharmaceutical, environmental fields. Recently, the electrochemical bioelectronic devices that mimicked the functionality of living organisms in nature were applied to the use of bioelectronics device and biosensors. In particular, the electrochemical-based bioelectronic devices and biosensors composed of biomolecule-nanoparticle hybrids have been proposed to generate new functionality as alternatives to silicon-based electronic computation devices, such as information storage, process, computations and detection. In this chapter, we described the recent progress of bioelectronic devices and biosensors based on biomaterial-nanomaterial hybrid. This research was supported by NRF-2018R1D1A1B07049407 and by the Research Grant of Kwangwoon University in 2018.